What do Same Day DNA results actually mean? At AlphaBiolabs we pride ourselves on providing the fastest, most accurate DNA testing. Our efficient DNA testing services, which offer results the next working day, won us a Queen’s Award for Enterprise in Innovation. We can also provide Same Day results. But what does this mean in reality? The process is very simple. 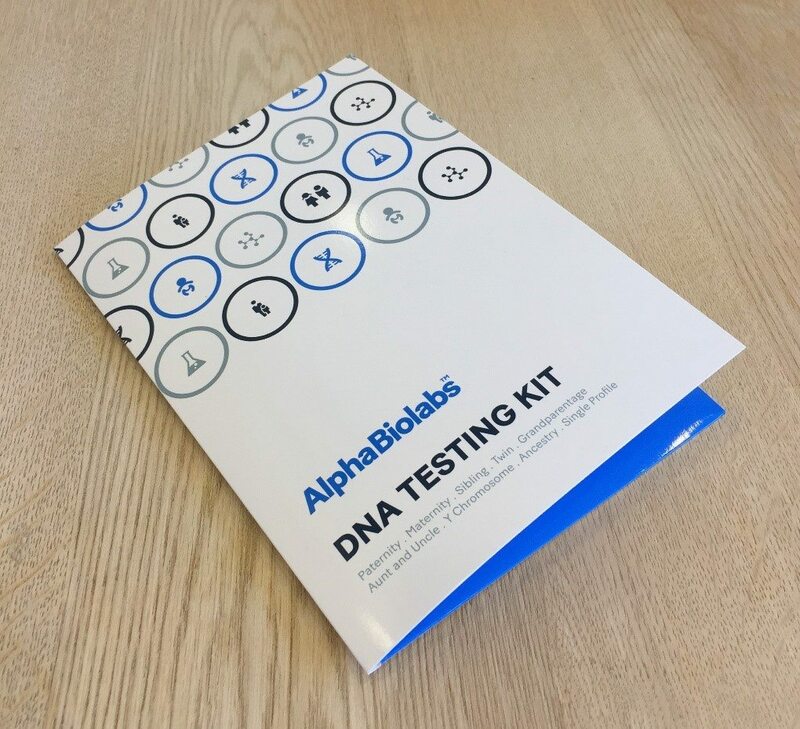 Our Peace of Mind DNA testing kits can be bought online at https://www.alphabiolabs.co.uk/product/paternity-test/ or picked up from your local Home Bargains stores . Confidentiality is maintained throughout the process. If ordering a testing kit online, we send the kit direct to your address using discreet packaging. You also provide a password to use so that only you can discuss your case with Customer Services and access your results when sent by email. Whichever way you get hold of your DNA testing kit, full instructions are included on how to take your own DNA samples. There are three easy steps. Using one of the swabs provided in the testing kit, firmly rub on the inside of the left cheek for at least 20 seconds; then place this swab in the envelope provided. The second swab is used in exactly the same way on the inside of the right cheek. It is advisable not to eat or drink for 1 hour prior to collecting your samples. Complete the details on the front of the swab envelope and seal it. Place all the swab envelopes and the completed form in the self-addressed return envelope and send it back to our testing laboratory. It is essential that all sections of the Test Request form are completed in capital letters and a consent signature is provided for each person undergoing the testing. If a child under the age of 18 is to be tested then a signature is needed of the person with parental responsibility. More details on parental responsibility can be read here. As soon as we receive your DNA samples at our laboratory in Warrington, we will begin the testing service. To ensure no delays to receiving your samples, we advise that you check the correct postage at a Post Office. One 1st Class stamp will not suffice. You also have the option to pay for a faster or tracked service. What do Same Day and Next Day Results mean? If speed is of the essence you have the option to upgrade to Same Day results for an extra £70. To ensure Same Day Results, your DNA samples need to reach our laboratory before 10 am. For this reason, we strongly advise that you use the Royal Mail Special Delivery Guaranteed® by 9 am service . Once your DNA samples are received, we perform the DNA analysis and email your DNA results to you from 4.30 pm the same day. If you select to receive Next Day Results, your DNA samples still need to reach our laboratory by 10 am . However, your DNA results will then be emailed to you from 4.30 pm the following day. You will need your password (that you provided in section 7 of the Test Request Form) to open your results email. A hard copy of your results can also be posted to you if required (£10 extra).